When you click help, you don’t want to wait for your computer to bring it to you. Here’s how you can speed up the help dialog in Windows and Office. If you have a slow internet connection, chances are you’ve been frustrated by the Help dialog in Windows and Office trying to download fresh content every time you open them. This can be great if the updated help files contain better content, but sometimes you just want to find what you were looking for without waiting. Here’s how you can turn off the automatic online help. 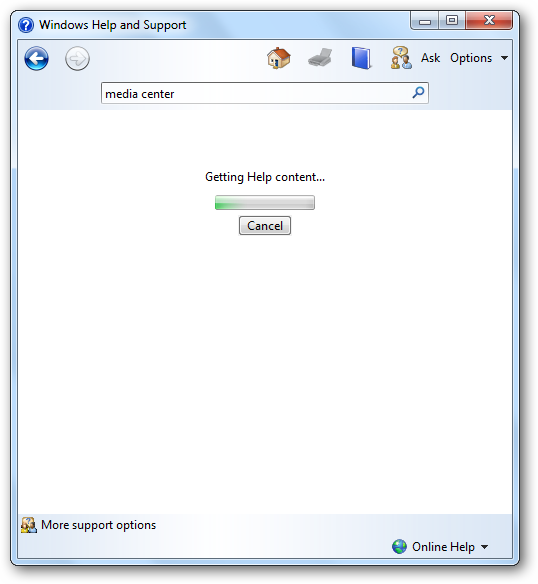 Windows 7 and Vista’s help dialog usually tries to load the latest content from the net, but this can take a long time on slow connections. If you’re seeing the above screen a lot, you may want to switch to offline help. Click the “Online Help” button at the bottom, and select “Get offline Help”. Now your computer will just load the pre-installed help files. And don’t worry; if there’s a major update to your help files, Windows will download and install it through Windows Update. Stupid Geek Tip: An easy way to open Windows Help is to click on your desktop or Start Menu and press F1 on your keyboard. 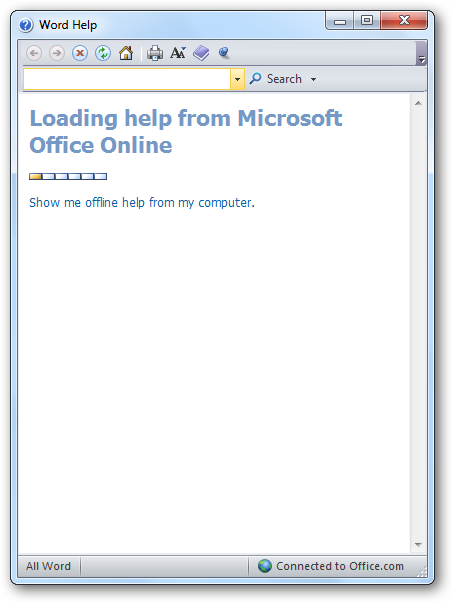 This same trick works in Office 2007 and 2010. We’ve actually had more problems with Office’s help being tardy. Solve this the same way as with Windows help. 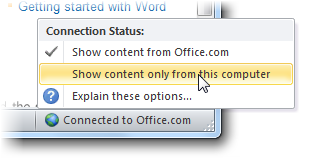 Click on the “Connected to Office.com” or “Connected to Office Online” button, depending on your version of Office, and select “Show content only from this computer”. This will automatically change the settings for Help in all of your Office applications. While this may not be a major trick, it can be helpful especially if you have a slow internet connection and want to get things done quickly.